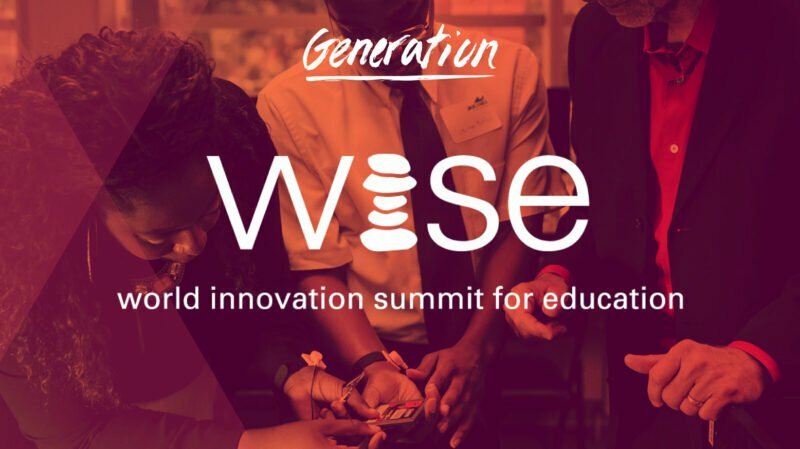 The only US-based winner, Generation was recognized with five other international organizations by The World Innovation Summit for Education (WISE), an initiative of Qatar Foundation (QF). The other five 2018 WISE Awards winners are Safe Spaces Clubs for Girls, One Village One Pre-School, Technology-Based Deaf Education Pakistan, Partners for Possibility, and 1001 Nights Life Skills and Citizenship Education Program. These programs tackle pressing educational issues including girls’ education, early childhood education, the refugee crisis, cultural exchange, citizenship values, entrepreneurship in disadvantaged communities, deaf education, enhancing teacher motivation, and stimulating critical and creative thinking. Generation and the five other award winners were evaluated according to strict criteria. They must be established, innovative educational projects that have already demonstrated a transformative impact on individuals, communities, and society of their context. They also need to be financially stable, have a clear development plan, and be scalable and replicable.